Dinner the first night in San Francisco, one of my favorite restaurants, called Betelnut. 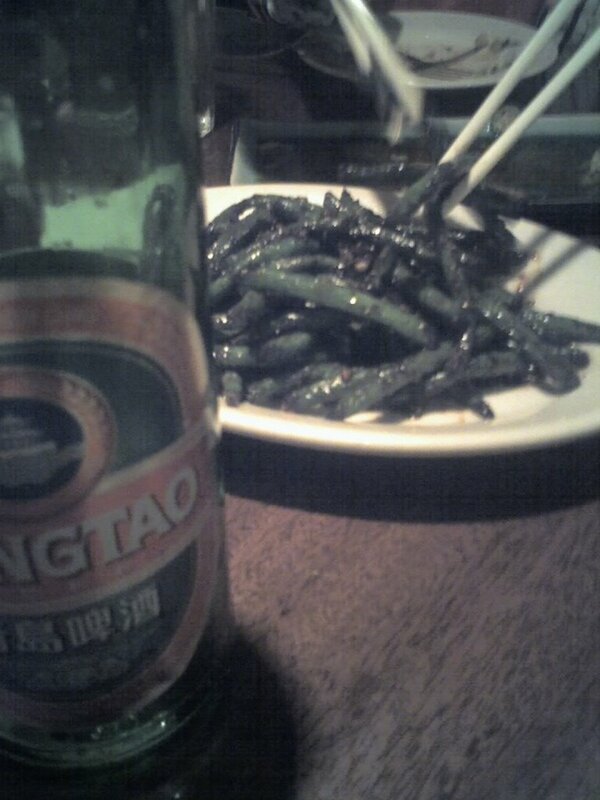 These are the some really yummy green beans and my really big beer. May 11, 2007 by carol strand.